Our engagement with students at the School of Law typically begins with their enrollment in our Laboratory Seminar in Applied Design and Legal Empowerment. This limited-enrollment, three-credit, six-week intensive seminar explores the use of design principles in the development of new models for delivering legal information and services. Students explore problem-solving methodologies derived from the fields of product and systems design as they apply them to a specific design problem. By the end of the experience, students have worked together as a team to take an idea from brainstorm to tested prototype. 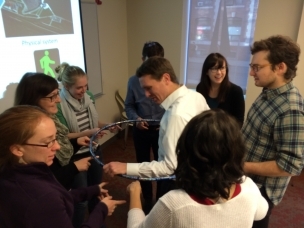 NU Game Design Professor Casper Harteveld leads an interactive game design session with law students. Our Winter Quarter 2016/17 seminar partnered with the City of Boston's Office of Housing Stability to identify ways to educate the public about the legal rights of tenants and landlords - before a housing crisis occurs. The result was a portfolio of options that included a radio jingle, MBTA advertisments, and converting the "City Hall To Go" truck into an ice-cream truck (cue that radio jingle!) that dispenses informational refrigerator magnets with each serving of ice cream. We turned the reins of our Fall Quarter 2016 seminar over to Margaret Hagan from Stanford’s Center on the Legal Profession and d.school, courtesy of the School of Law’s Givelber Distinguished Public Interest Lecturer Program. Four teams of students addressed the challenge of creating new interventions for Massachusetts Housing Court to help the system better serve the needs of people without lawyers. Proposed solutions ranged from procedural infographics outside courtrooms to the elimination of “first call” by implementing digital check-in kiosks. For our Summer Quarter 2016 seminar, we partnered with the U.S. Department of Justice Office of Civil Rights and asked students to reimagine the DOJ-OCR’s public website as one more responsive to the needs of people who think their civil rights are being violated. The result was a functional digital prototype that, among other things, highlighted relatively straightforward cases likely to resonate most with the experience of the general public, such as discriminatory housing and employment practices. 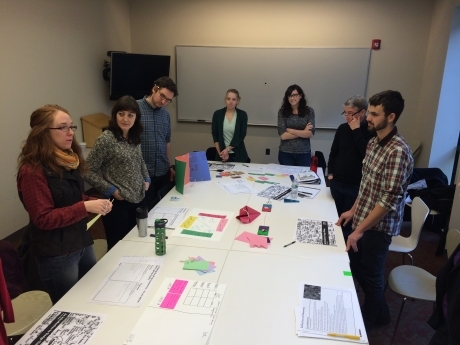 Our Spring Quarter 2016 charged students with designing a way to engage members of the public in restorative justice investigations through an online, digital means. The students’ proposed website and grassroots communication strategy was incorporated into the NuLawLab’s ongoing digital work with NUSL’s Civil Rights & Restorative Justice Program and NU's School of Journalism. 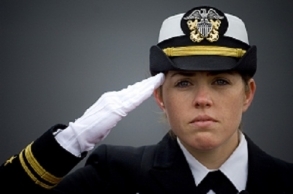 The Winter Quarter 2015/16 seminar engaged with low income women veterans living in local shelters to address the question "How might we re-design veterans’ benefits to better respond to the needs of women with military service?" The proposed response was an online information portal through which local women with military service could share information about available housing benefits and how best to access them. Summer Quarter 2015 seminar students were posed the question "how might we make residential water in Boston more affordable?" Their answer was to give local communities a greater voice in the rate-setting process. The solution was a prototype for an interactive map - Pirates of Policy - that allows users to explore innovative municipal water policies across New England, and share those policies with local decision-makers. Winter Quarter 2014-15 seminar students worked directly on the inital phases of creating the Online Simulation for Self-Represented Parties or the Women Veterans Outreach Tool. Designing Lawyers: Leading an Experiential Law School Design Lab Watch NuLawLab E.D. Dan Jackson's presentation at the 2014 LegalED Conference.